Obituary for Doyle K. Riggs | Loudon Funeral Home and Cremations, Inc.
Doyle Kenneth Riggs, age 92 of Sweetwater, passed away Monday, January 21, 2019. He was a truck driver for ABF and retired after four million safe driving miles. He was a woodworker, gardener and he flipped houses. He was a member of O.K. Houck Masonic Lodge in Memphis for over 50 years. He was preceded in death by son, Kenneth Gary Riggs and an infant son; parents, Noah and Mary Riggs; his first wife, Nancy Page Riggs; two brothers, Coy and Charles Allen Riggs; and sister, Vera Behnke. He is survived by wife, Ruth Riggs; children, Shelia Riggs Shipman (Paul), Jeffrey Lynn Riggs (Peggy), Anthony Doyle Riggs (Gonda), and Ginger Faith Harris; stepson, William Wheeler; by a brother, Oren Riggs; numerous grandchildren, great grandchildren and great great grandchildren. Graveside services will be private. Loudon Funeral Home is in charge of the arrangements. 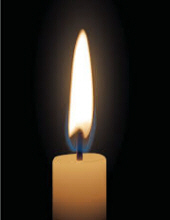 Online condolences may be offered to the family by visiting www.loudonfuneralhome.net.